Looking for Math Help? Well you have come to the right place! What are you looking for though? There are several different levels of Math and several different categories of Math, all which demand several different ways to be taught Math. What Ways can Math be Taught? Practically, in-person tutoring takes away this learning gap and does not waste time reteaching students to translate their learning in a new format. Be sure to read up on potential limitation with online tutoring before making a decision for your student. Online tutoring is the process of tutoring in an online, virtual environment or networked environment in which teachers and learners are separated by time and space. Online tutoring, as a reflection of the diversity of the wider Internet, is practiced using many different approaches and is addressed to distinct sets of users. The distinctions are in online content and interface, as well as in tutoring and tutor-training methodologies. Definitions associated with online tutoring vary widely, reflecting the ongoing evolution of the technology, the refinement and variation in online learning methodology, and the interactions of the organizations that deliver online tutoring services with the institutions, individuals, and learners that employ the services. The transition to Mobile has begun, there are now more phones than people in the world. Meaning that students can get access to Tutoring from anywhere. The possibilities of being tutored while outside, in your room, in a car, I honestly mean anywhere! Chat is great as it leads the way for mobile tutoring in the transition from Private tuition at home or in a centre and then online tutoring which provided chat as conveniently as a skype call or through a Web Portal to now Mobile in chat form. Apps Like PhotoMath are amazing, I love these apps as they require no effort on anyone’s behalf. The App has already been made, configured and left alone by the developers, for you as a user, it provides instant answers for 40% of the questions in the world. Why only 40%? Because it doesn’t have the ability to answer questions with words in them, which makes up 60% of the questions asked in Math Exams & Homework. 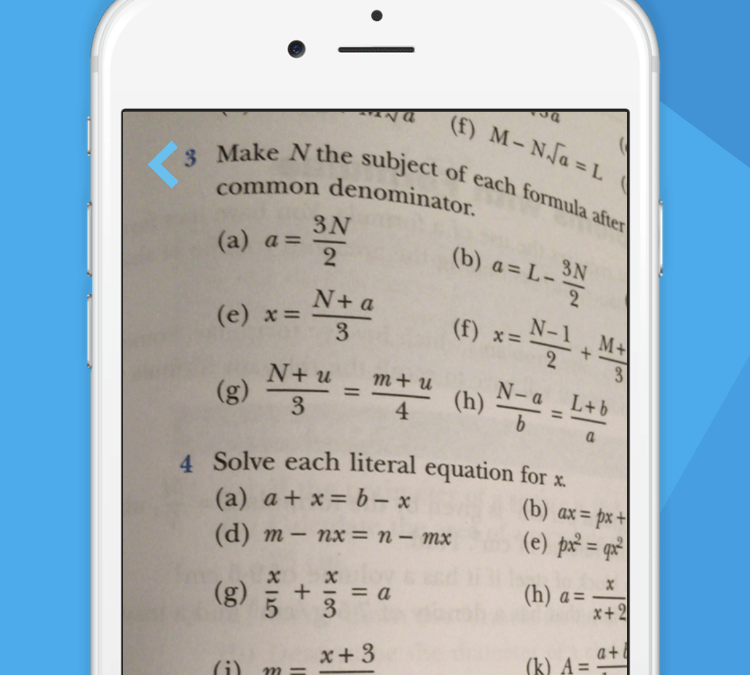 Unfortunately and App that I love so much… PhotoMath, is no longer free. Intellecquity, powered by students needs and our passion to make sure that students aren’t spending $1,000’s on Tutoring, Receive quick Solutions and Assistance as well as High Quality solutions. We aim to remove the crap out of tutoring to make sure you receive what you want. Fast, High Quality & Reasonably Priced Solutions. How is it done? Take a Photo, Send it in, Receive a Solution and only Pay Per Question. None of this, per minute pricing or paying for a service that doesn’t have people doing anything.